Please download the preview to see the 23 centers included in this packet. 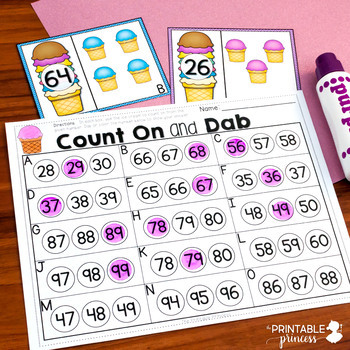 This literacy and math centers pack is perfect for end of the year and summer-time in Kindergarten! Themes included in this packet are: ice cream, bubbles, picnics, grilling and hot dogs, camping, beach, and water fun. 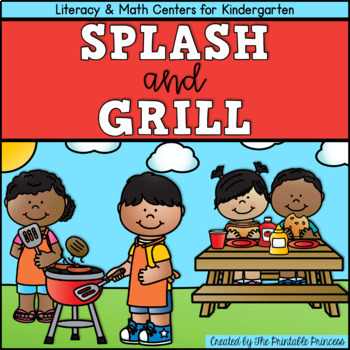 Contains a total of 23 center activities (12 math center activities and 11 literacy center activities). All activities are common core aligned with standards included. 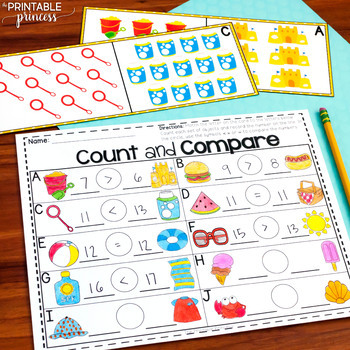 -follow-up print-and-go activities/worksheets to reinforce the skills covered in this packet. 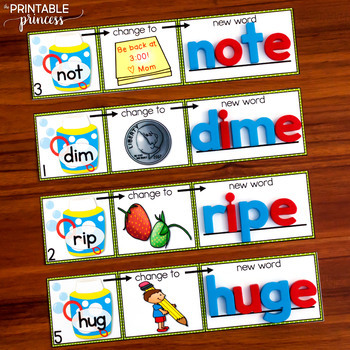 -“Beach Theme Number Words” – Students will use magnetic letters or a dry erase marker to spell numbers words to ten.